Shane Zbrodoff is a technology management expert in leading business and industry technologies. He has over 29 years of information technology and project management experience — half of which with airports and airlines serving as a business analyst, IT Manager, IT Project and Program Manager. He and his team successfully delivered a $80M technology program in a $1.6 billion-dollar airport expansion program at Calgary International, YYC. Shane is founder of Pilot Project International, a consulting firm dedicated to leading edge innovations and technologies and author of the book “Pilot Projects, Making Innovations and New Concepts Fly”. 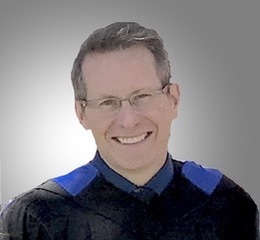 Shane is a graduate of the Southern Alberta Institute of Technology, the Project Management program from Mount Royal University and holds an MBA form Athabasca University. He is a certified PMP® from the Project Management Institute and a speaker at several international events and congresses.